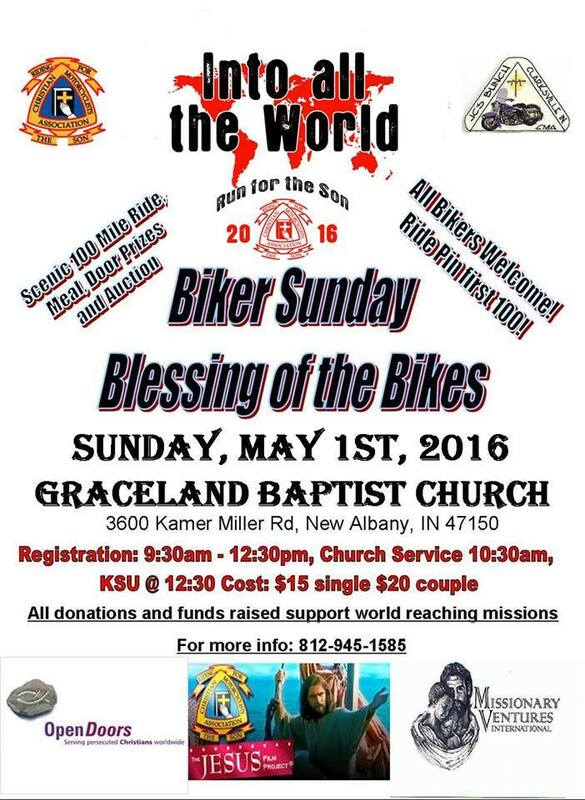 Kick Stands Up at 11:30 AM to ride as a group to Graceland Baptist Church. Great event, great food after ride, and they always have a great auction. Come out and support CMA and their mission partners.